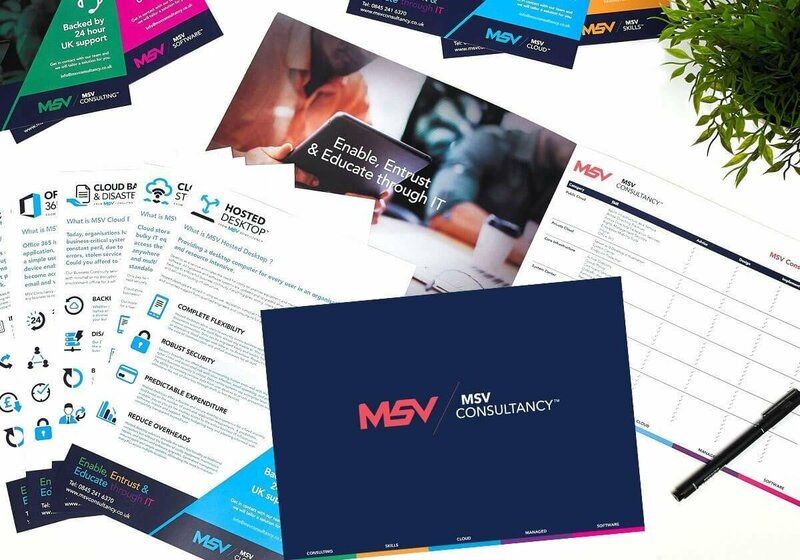 Following a period of growth, MSV Consultancy, an IT Support Services business, realised their current brand had been left behind as the business’ services had evolved; resulting in a diluted brand identity that had a confusing message. 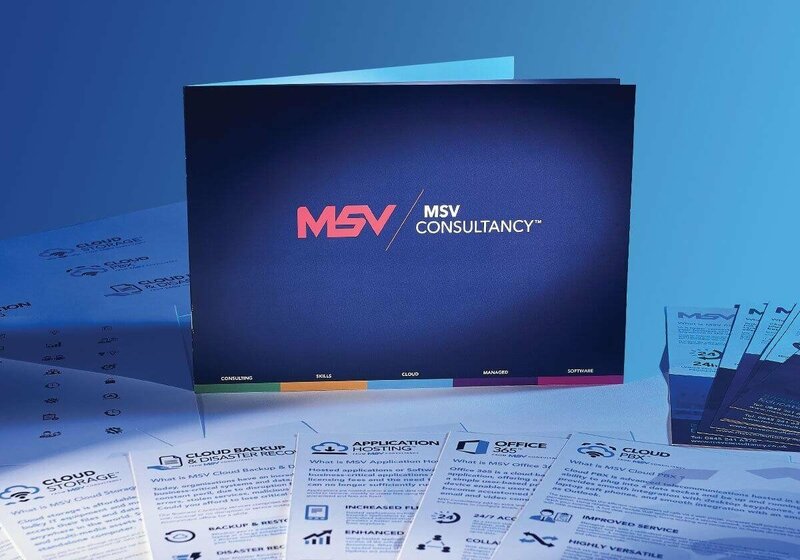 The brief was to create a parent brand that reflected the breadth of services now offered by the company, and create unique identities for each service that could all stand-alone within MSV’s ‘solutions platform’. 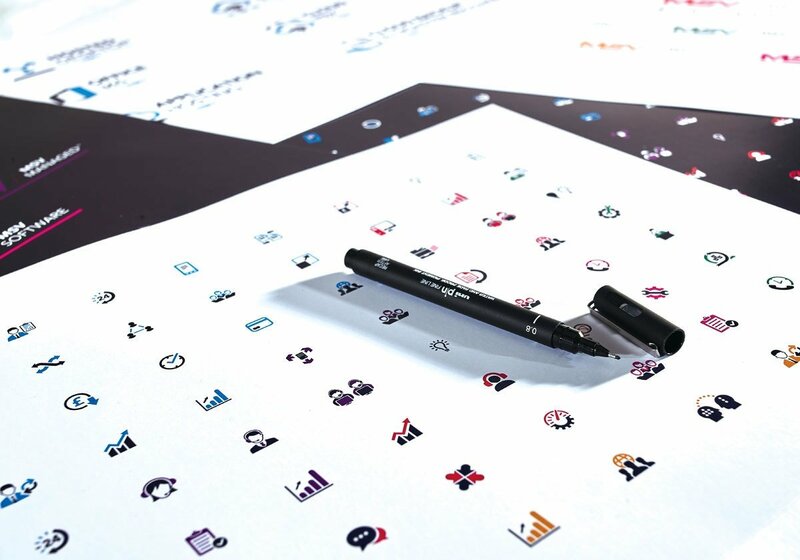 The new brand required a full roll-out across the company; from web solutions, marketing literature and exhibition materials to office interiors and staff apparel. Key to creating consistency in a highly-segmented service organisation such as MSV was the development of a clear, coherent family of brands. 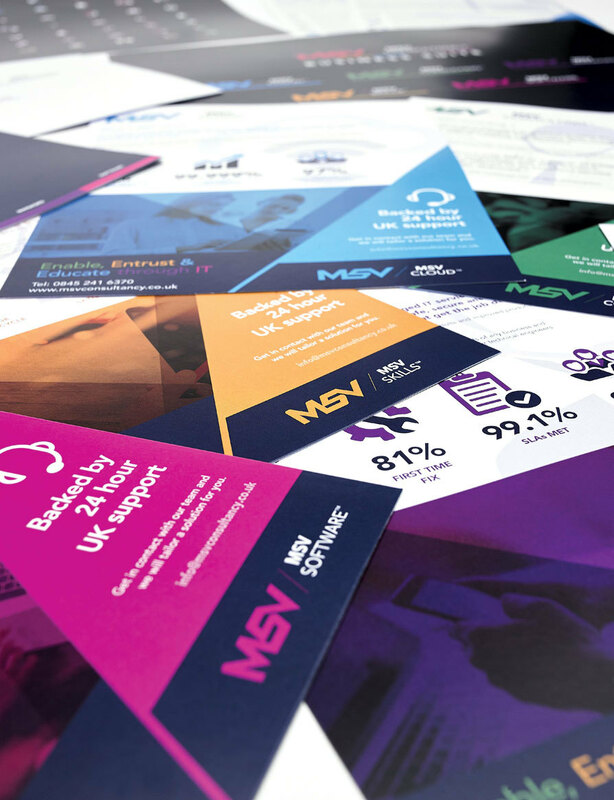 We gave the existing identity a brand review and from this created a brand map of primary, secondary and tertiary brands that would consolidate all of MSV’s services. 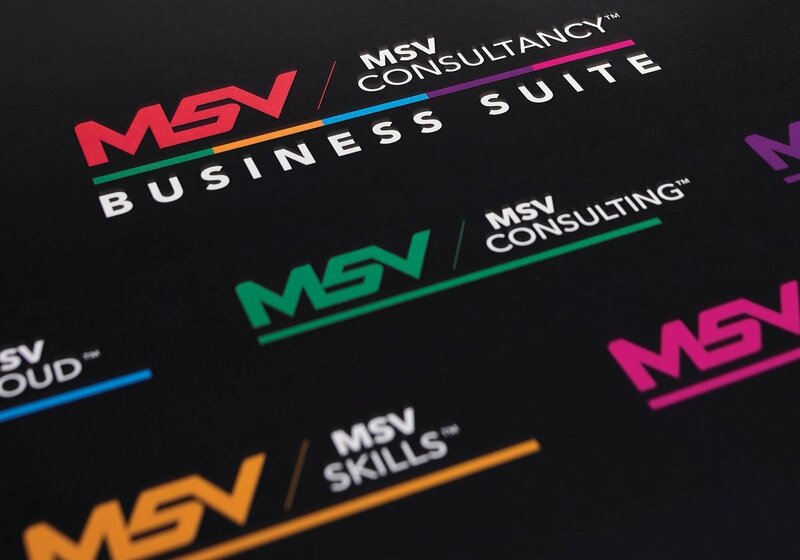 The secondary brand created identities for MSV’s six IT solutions, and the tertiary brand was used to give identities to the numerous services that sat underneath each of these IT solutions. These solutions and services were pulled together under the primary brand that reflected the MSV Consultancy’s overarching brand identity. 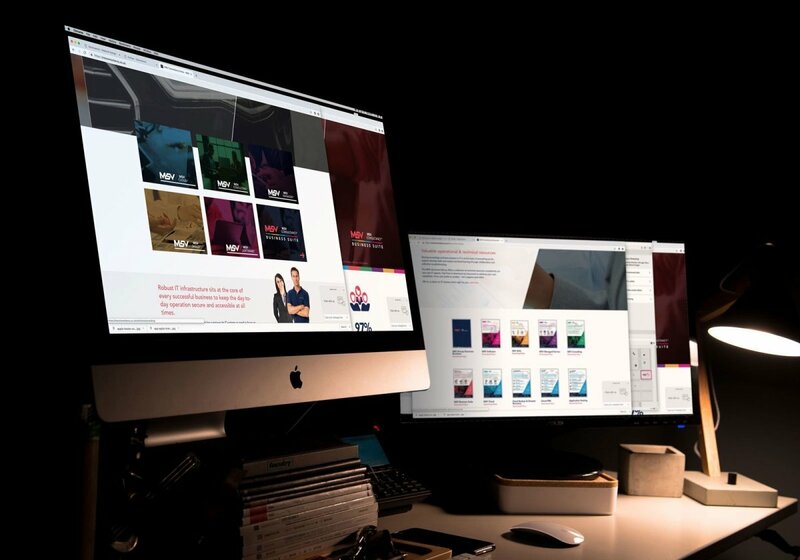 Each brand was then rolled out across web, print based and social media to ensure a consistent brand message at every touchpoint for the customer. A clear, understandable brand identity has empowered the MSV sales and marketing team to confidently convey each solution to potential clients without having a confused message that had previously held them back – resulting in an increase in sales of 150%. Are you looking to rebrand your business? 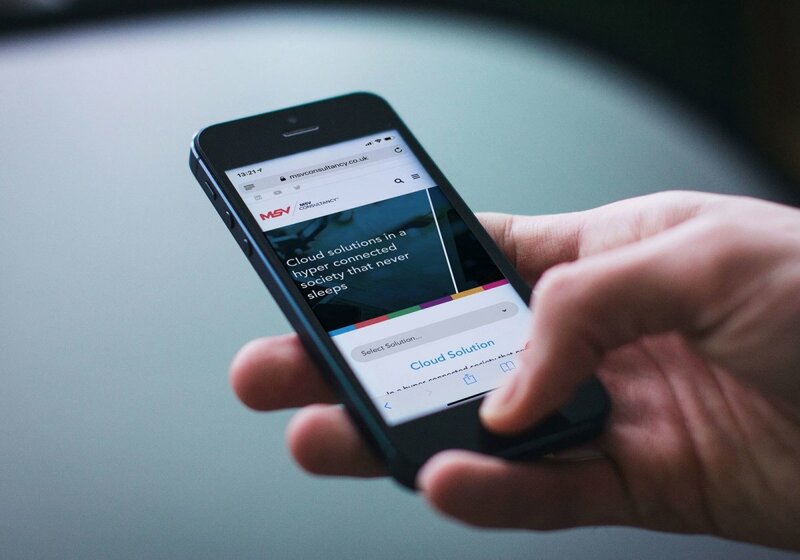 Whether that's a refresh or better connect with your customers, get in touch and let's discuss how we can work with you to achieve your vision. 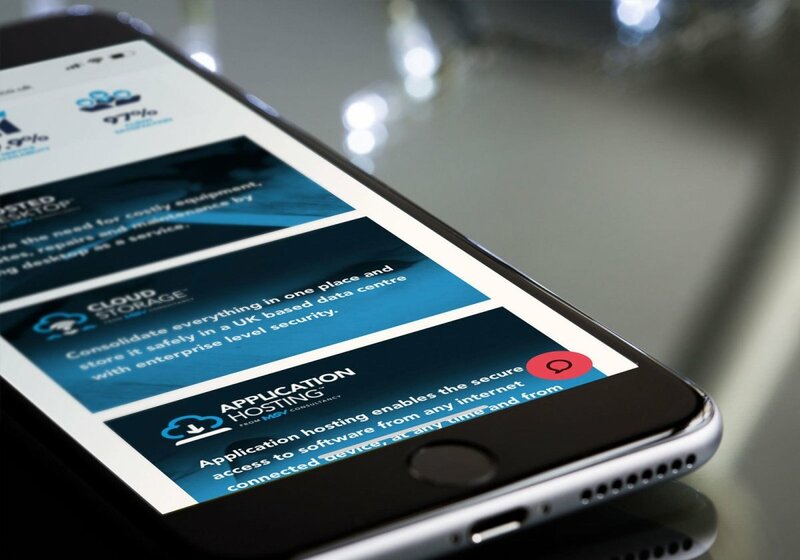 "The team at sevenseven have produced a fantastic brand suite that not only gives huge clarity to what we do but has allowed scaleability to our service offering by simply creating another solution icon that becomes part of the family. The materials we now have as a business have really propelled us in our sales drive. We couldn't recommend these guys enough - they really understood what was a complex brand structure and delivered an exceptional result"